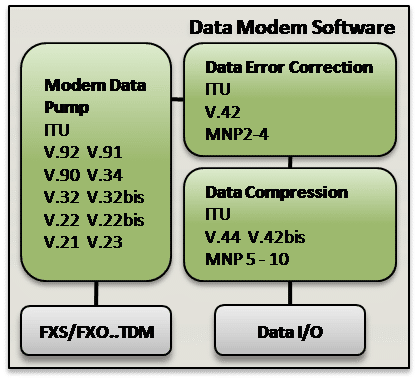 VOCAL provides a comprehensive Data Modem software library to support a variety of legacy data modem applications and modem communications over Radio, Mobile, Internet and other networks. Our software includes a complete range of modulations and protocols and VoIP solutions to support your data modem development requirements. VOCAL experts can advise you to select the most appropriate data modem software solution for your application. Custom solutions are also available. Contact us to discuss your modem application requirements with our engineering staff. VOCAL’s software is available for the following platforms. Please contact us for specific data modem software supported platforms.